Holiday Inn Resort Orlando Suites - Waterpark presents Terror At the Inn ... The Mummy's Curse! The Mummy's Curse walk-through attraction: A long-lost Egyptian Crypt has been unearthed. Join the expedition to bring an ancient world of gods and monsters back to life. Will you be able to survive the mummy's curse? This Halloween season bring the family and visit Orlando's newest haunted attraction! Included with your ticket to "The Mummy's Curse" is admission to Panic House at our 4-D special effects theater! Put on 3-D glasses as you imagine a serene, lush countryside where you are invited into the beautiful and stately Victorian home at the end of the road. 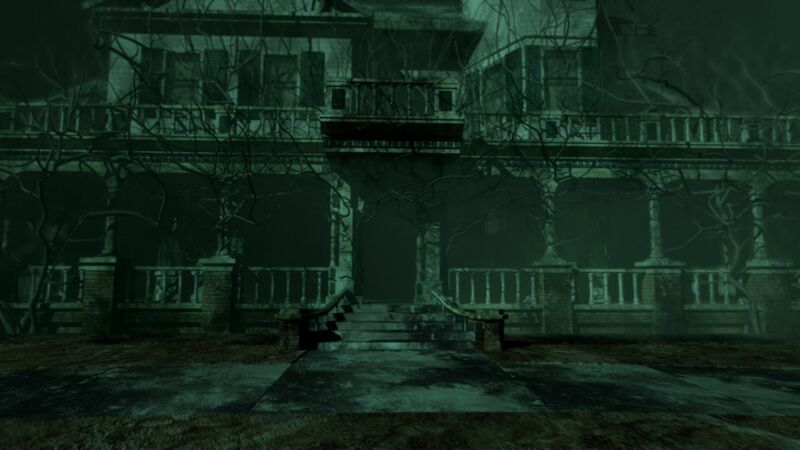 In a flash, the tranquil setting mutates into a house of horrors as your host morphs into a demonic creature that will stop at nothing to destroy you. Make sure you avoid the zombies as they block your escape and hunger for your soul. Escape, or be imprisoned forever! Select Nights. October 3rd - October 31st. Event starts runs 6pm-10pm. All sales are final. Due to the intense nature of this attraction it is not recommended for kids under 10. Parental supervision is strongly encouraged for kids under 13. You will be subject to intense lighting, strobes, fog and loud noises. 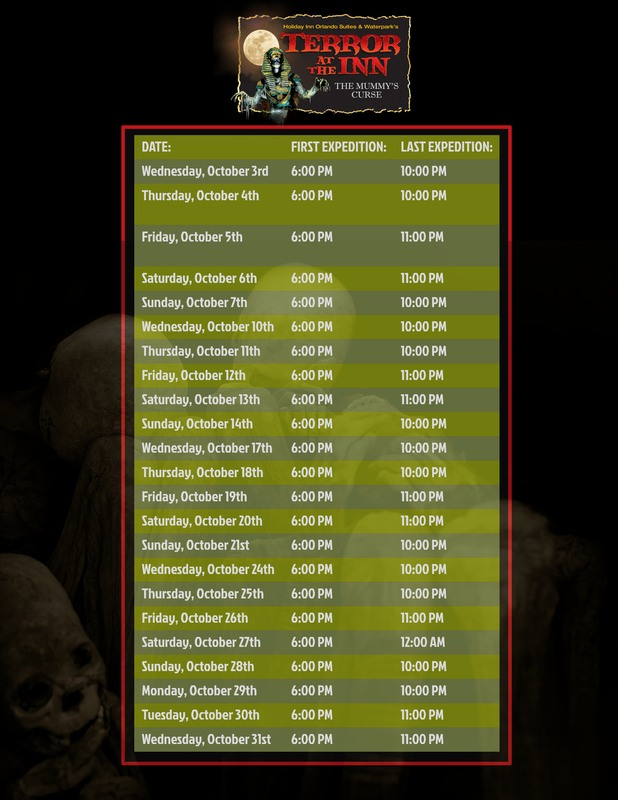 *Terror At the Inn…The Mummy’s Curse is a separately ticketed event. Event occurs rain or shine. No rain checks, returns or refunds. Prices, dates, times, and attractions subject to availability and may change without notice. Free self-parking. This event may be too intense for young children and is not recommended for children under the age of 11. No costumes or masks allowed.